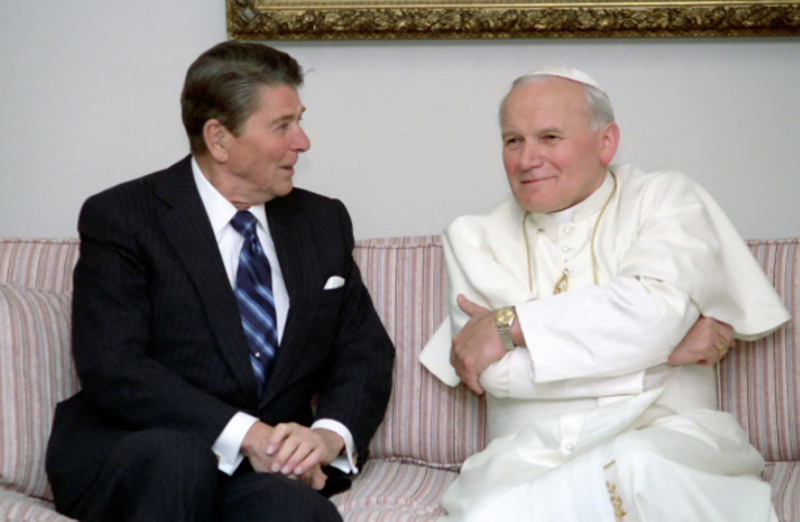 Pope John Paul II was a powerful figure on the world stage during the fading days of communism. 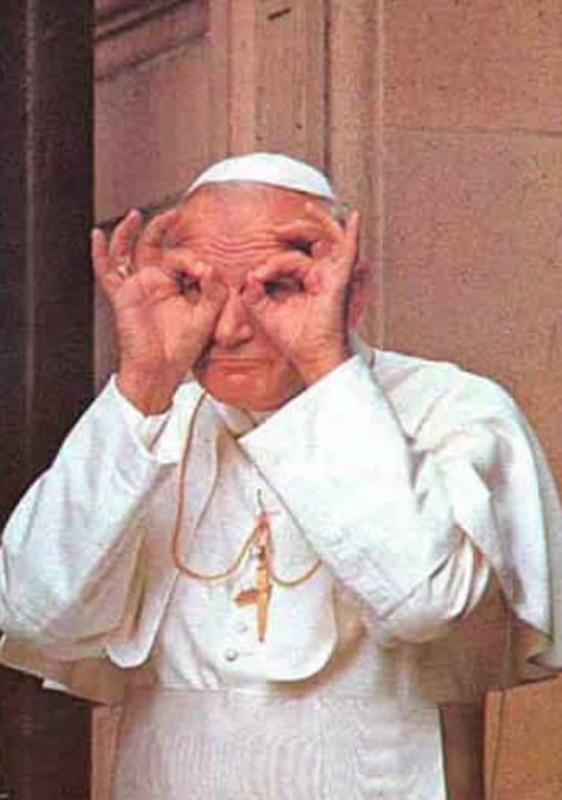 John Paul was of Polish descent, the first non-Italian Pope since the 16th century. He had been raised in occupied Poland during World War II and had protected Jews from the Nazis. His Polish roots and proclivities toward championing the downtrodden in the face of institutional persecution would nearly be his undoing. John Paul II was fluent in at least seven languages as well as Latin and became one of the most traveled world leaders in history, visiting 129 countries during the course of his papacy. He was the second-longest serving Pope in modern history, spending nearly 32 years in the role. John Paul II’s support for Lech Walesa and his anti-communist Solidarity movement made him some powerful enemies. 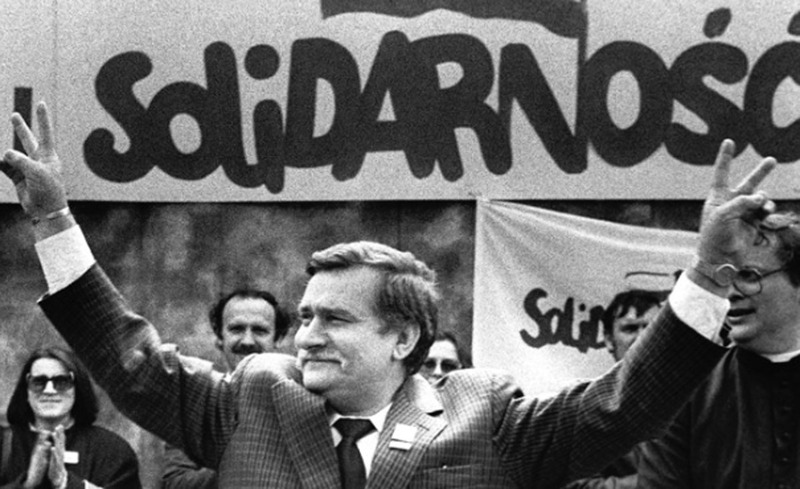 John Paul II had expressed his support for Solidarity, the Polish labor union formed in 1980 by Lech Walesa. Solidarity ultimately boasted 10 million members and was instrumental in laying the foundation for the fall of communism in Europe. This relationship made Pope John Paul II some powerful enemies. 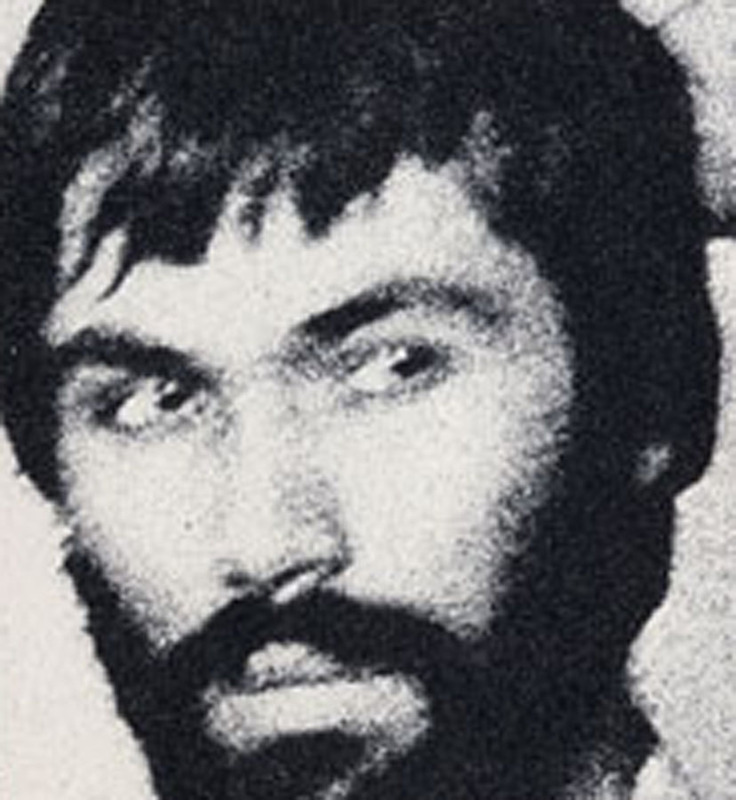 Mahmet Ali Agca was an escaped murderer and an experienced villain. 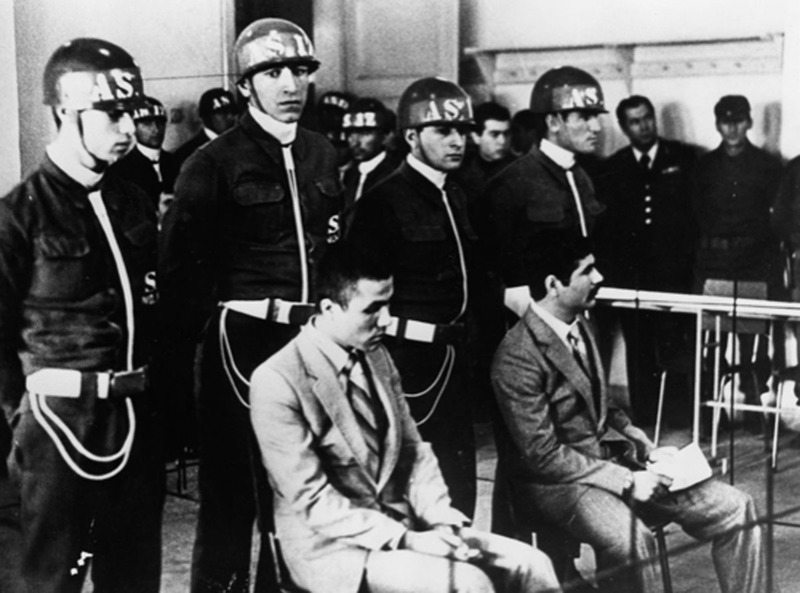 Among the throng in St. Peter’s Square that day was a young Turkish ne’er-do-well named Mehmet Ali Agca and at least three accomplices. Agca had been convicted of the 1979 murder of left-wing Turkish journalist Abdi Ipekci but had escaped the military prison where he was being held. Agca had shadowy connections with Bulgarian intelligence and had spent more than two months in post-revolution Iran. Agca was an enigmatic figure with ties to some seriously sordid people. 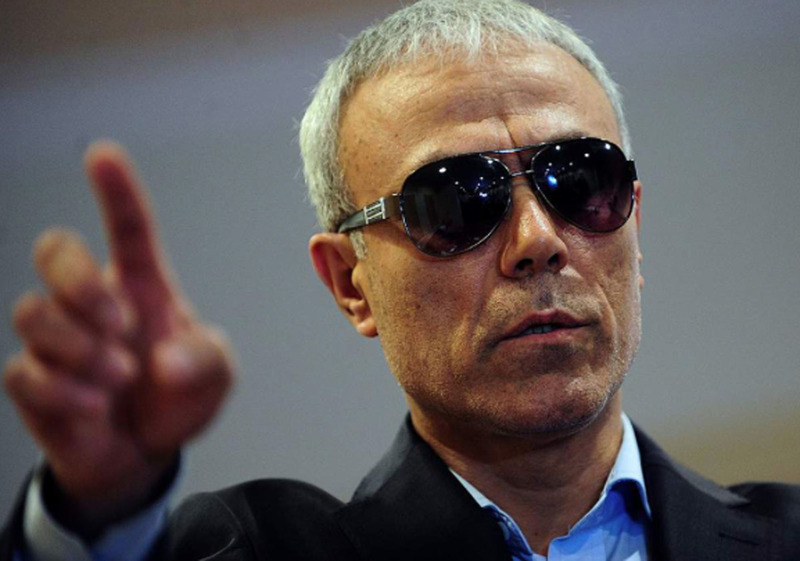 Agca was also a member of a Turkish ultra-nationalist group called the Grey Wolves. He had recently crisscrossed the Mediterranean using a variety of false passports. Agca was radicalized, experienced, enigmatic, and comfortable with a gun. The Pope’s shooting was close-range and brutal. Mehmet Agca pressed through the crowd until he was within range of the Pope. Before he could draw his weapon and fire the Pope hefted a small child to bless him. Agca hesitated momentarily to allow the child to be returned to his mother, retrieved his Browning Hi-Power 9mm pistol, and fired four rounds. 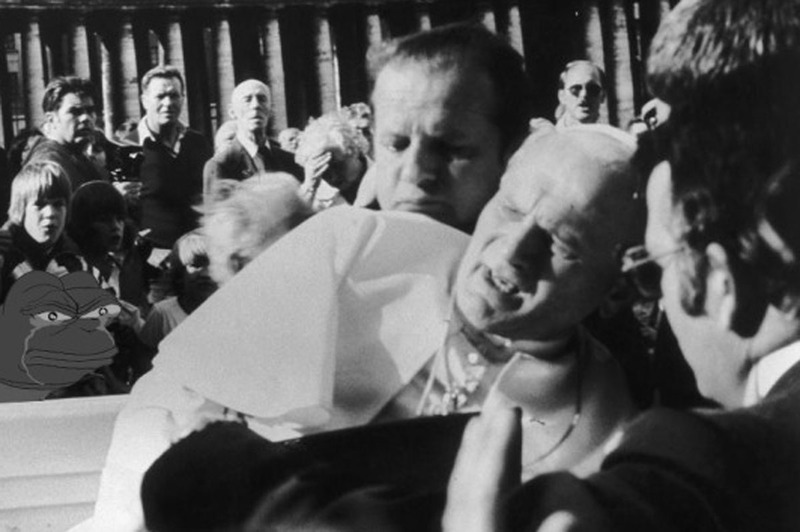 The Pope was seriously wounded in the attack. In the first photo you can see the superficial wound to his left index finger. Descriptions vary on the details but it seems all four shots likely struck the pontiff. Two rounds ended up in his gut, one struck his right arm, and the fourth hit his left index finger. The two peripheral shots went on to wound two bystanders. Anne Odre of Buffalo, New York, was struck in the chest. Rose Hall was lightly wounded in the arm. 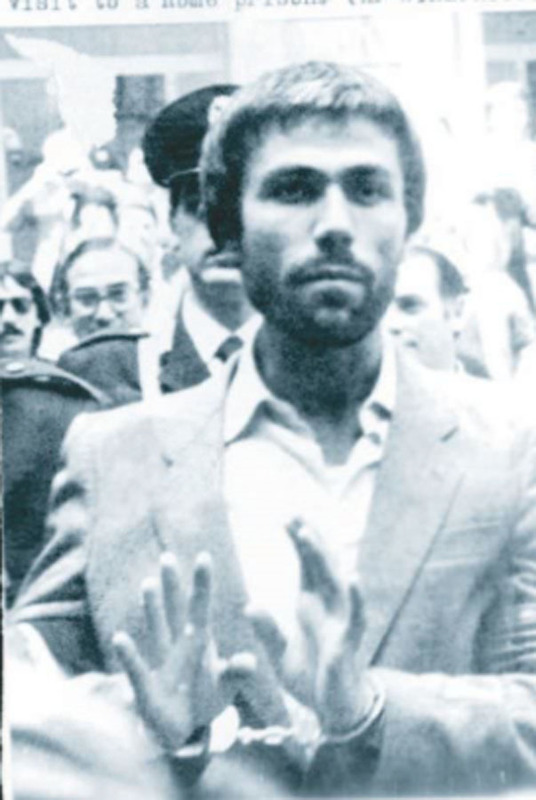 Agca was captured immediately and tried for attempted murder. An accomplice was supposed to detonate a small explosive device as a distraction when it was time to flee but failed to do so. Agca attempted to discard his weapon underneath a nearby truck but was subdued by a Vatican security officer, nearby spectators, and a particularly agitated nun. 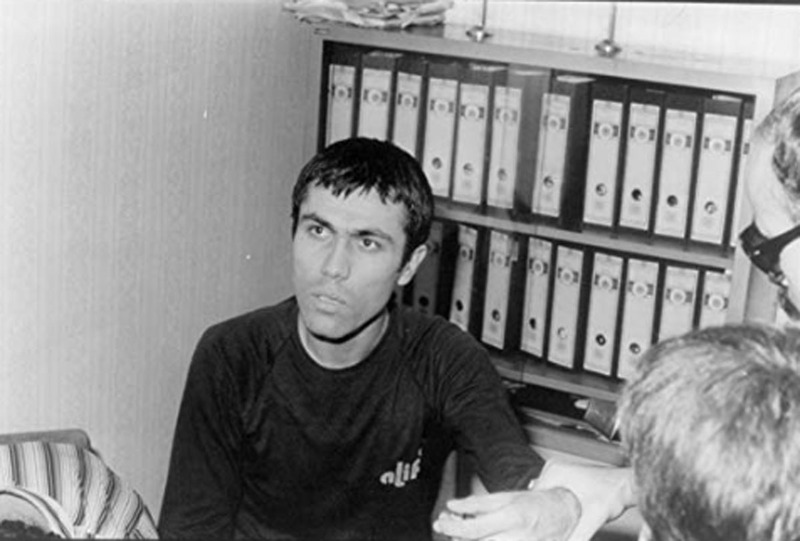 Agca was sentenced in 1981 to life imprisonment for his crime. 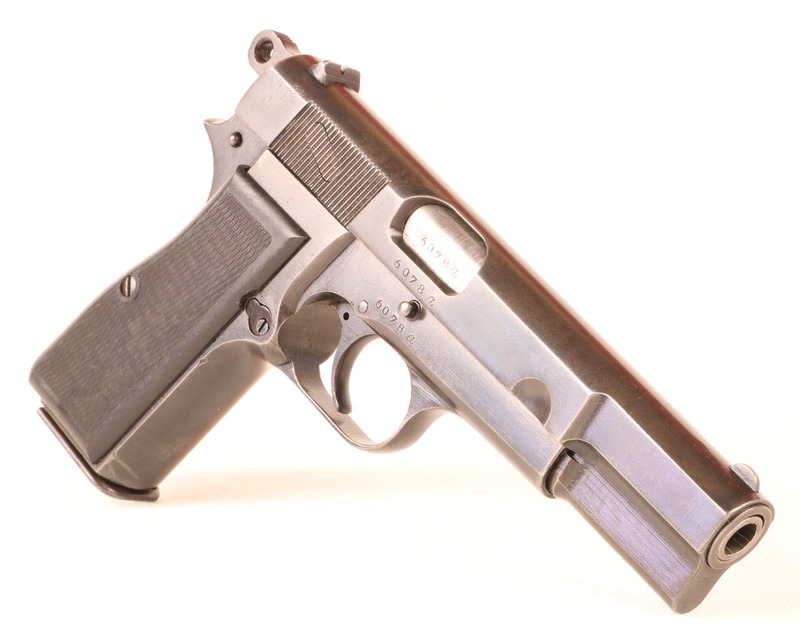 The 9mm Hi-Power arguably John Browning’s most enduring achievement. 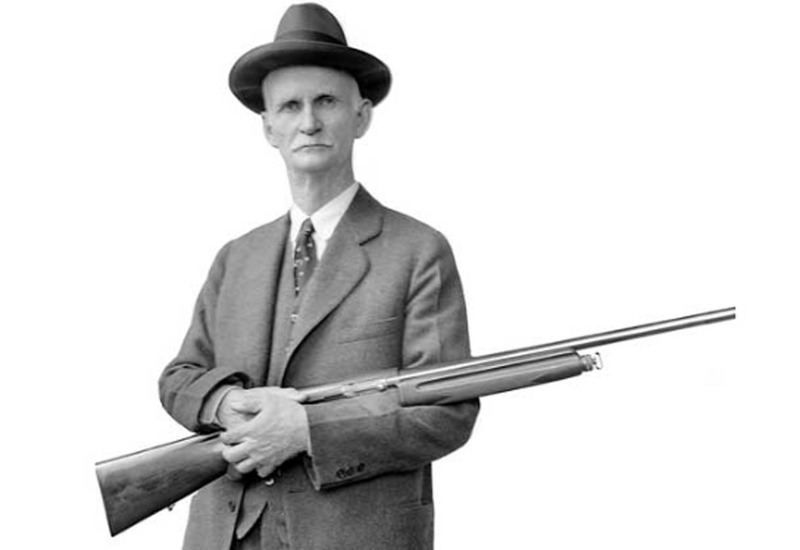 John Moses Browning was the most prolific firearms inventor in human history. 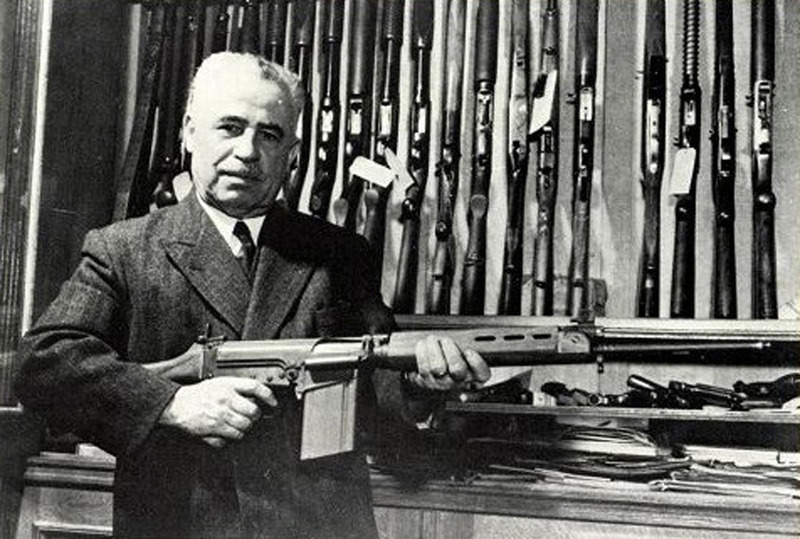 Browning himself touted the Auto-5 shotgun as the design for which he was most proud, yet of all his many firearms it was the Hi-Power that had the most profound historical influence. Dieudonne Saive completed the design of the Hi-Power in Belgium. 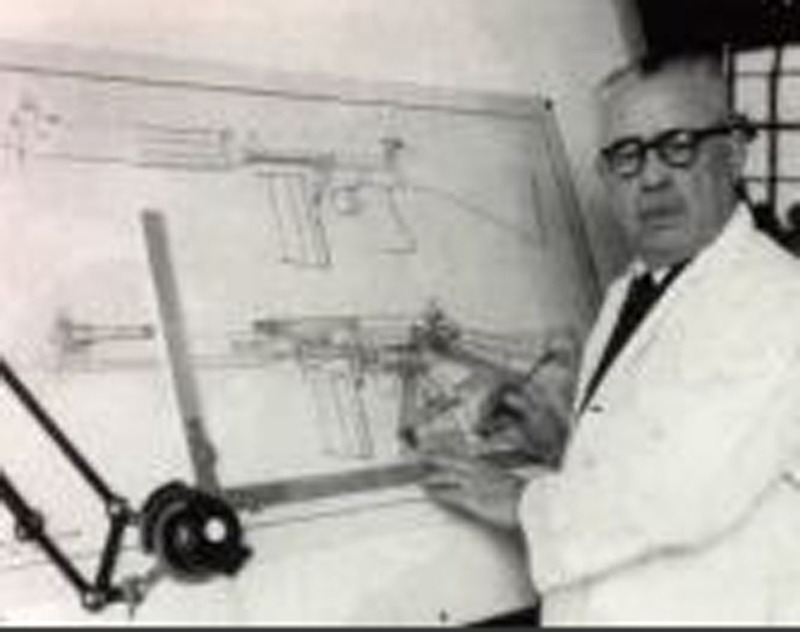 Dieudonne Saive was also the father of the FN FAL. Debuted in 1935, the Hi-Power was a collaborative project between Browning and Belgian Dieudonne Saive. Saive went on to develop the comparably iconic FN FAL battle rifle. 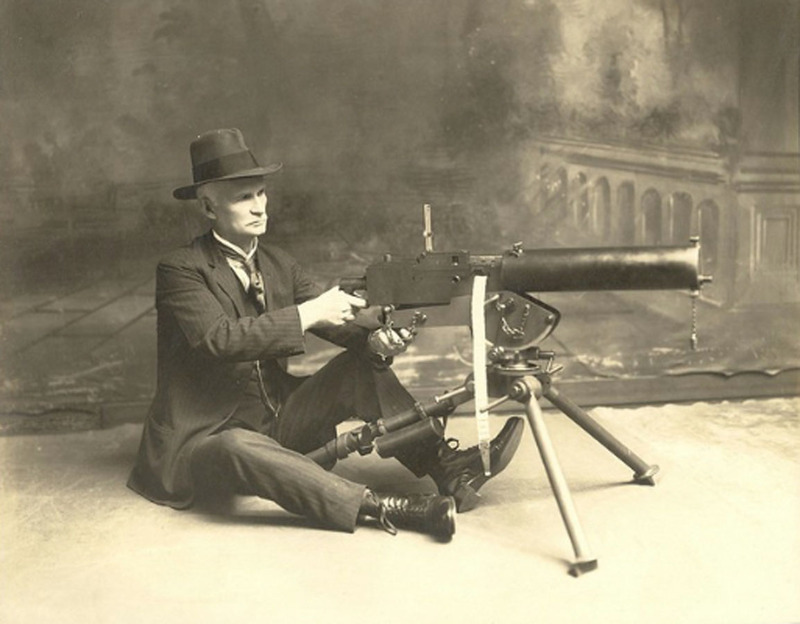 John Browning held 128 patents at the time of his death. 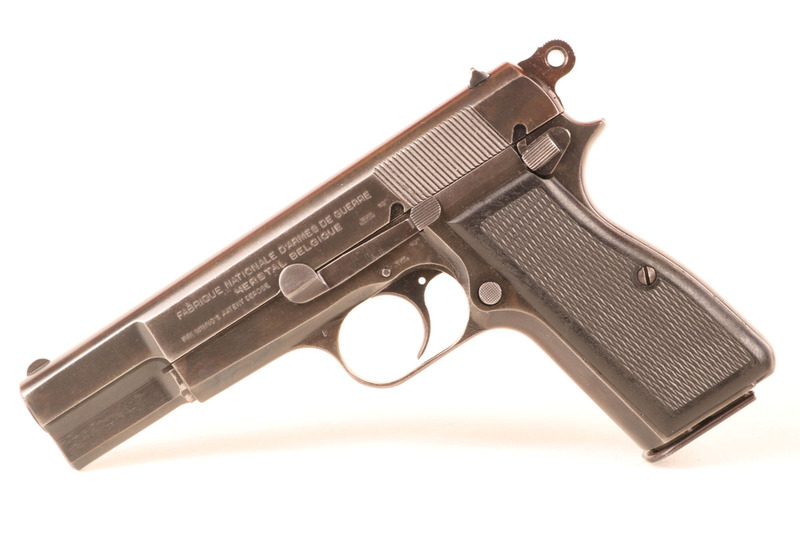 Browning actually died in 1926, nine years before the Hi-Power was perfected. The great man keeled over of heart failure while seated at his workbench in Liege, Belgium. However, the seeds of the Hi-Power design were by then already planted. An evolutionary development of the 1911 pistol, the Hi-Power employed a cam locking mechanism in lieu of the pivoting link of the 1911. This same basic recoil-driven mechanism went on to drive almost every combat handgun in the world. 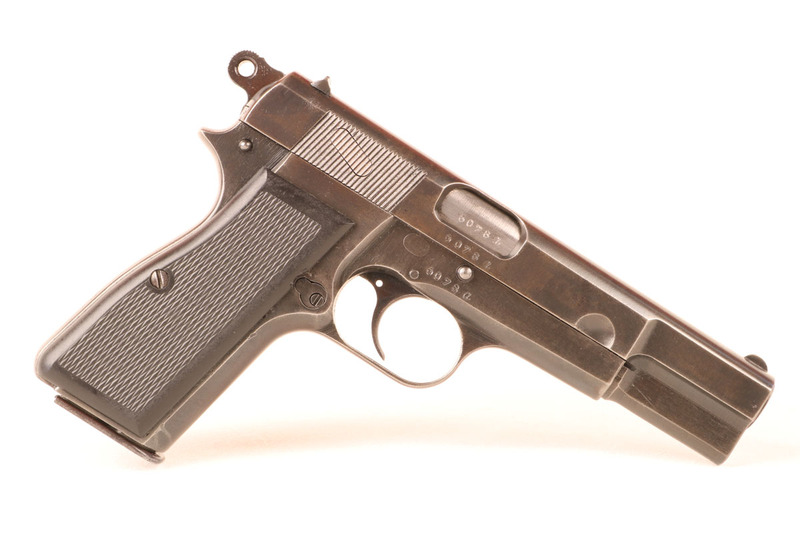 Browning’s linkless locking system went on to inspire most of the world’s combat handguns. The Glock, SIG, HK, S&W, and FN pistols in use the world over today all stem from this first apparently perfect mechanism. Saive’s double column single feed magazine, shown in the foreground, is literally everywhere today. The Hi-Power employs a superlative single action trigger along with a revolutionary double column single feed high capacity magazine. The magazine was a Saive contrivance that has also inspired the feeding devices of most of the modern world’s combat handguns. 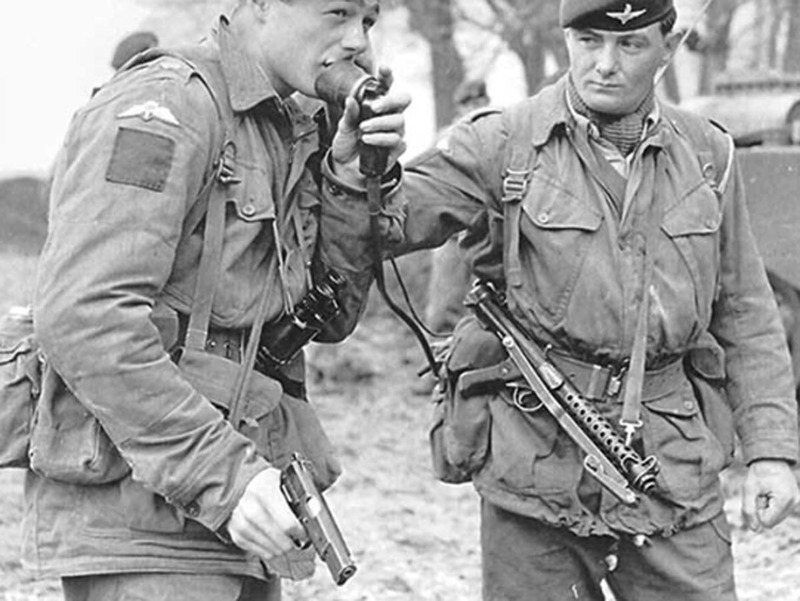 The Hi-Power has seen widespread military usage around the globe. The Hi-Power was in production for 82 years and armed the militaries of more than fifty nations. As a result, the gun is a staple around the planet any place men kill each other. The Hi-Power is a rugged and effective combat implement with superior ergonomics. The steel-framed Hi-Power is a bit heavier than most modern 9mm polymer-framed combat pistols, but it fills the hand nicely and runs well as a result. 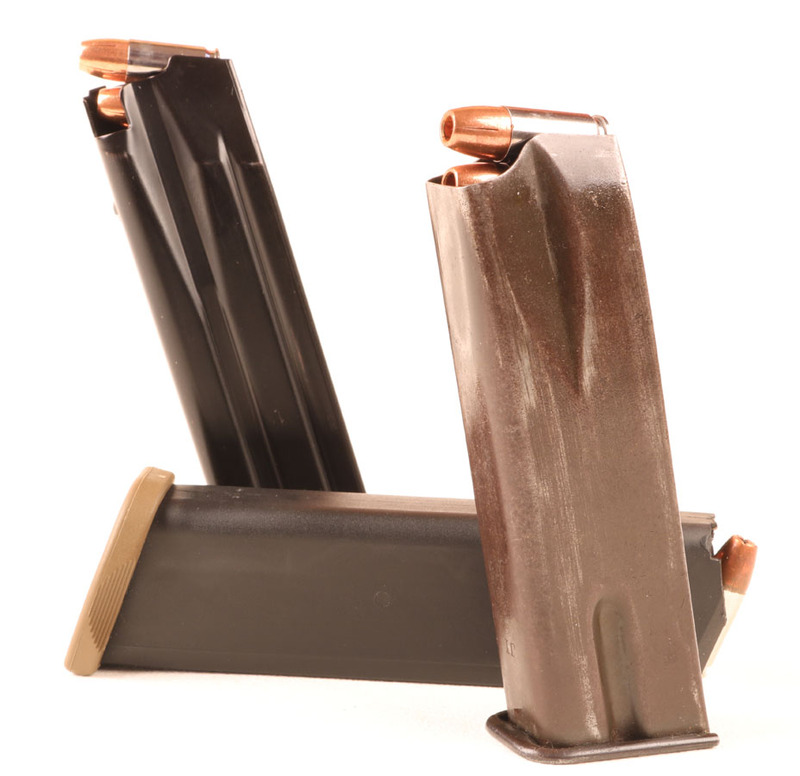 The single action trigger demands that you either carry the gun in Condition 1 with the hammer back over a hot chamber and the safety on or manually jack the slide on the draw stroke. What you get for that hassle is an accurate and comfortable handgun with plenty of firepower on tap. The Hi-Power’s controls are perfect for right-handed shooters. The magazines on my two Hi-Powers do not drop feely away, but the controls are perfectly situated for a right hand-handed shooter. The 15% of the population that is left-handed is just out of luck, but they should be used to that by now. As evidenced by the Pope’s attempted assassination, the 9mm Parabellum cartridge can be a bit underwhelming, particularly in its FMJ guise. However, the Hi-Power remains a comfortable and fun gun to run. 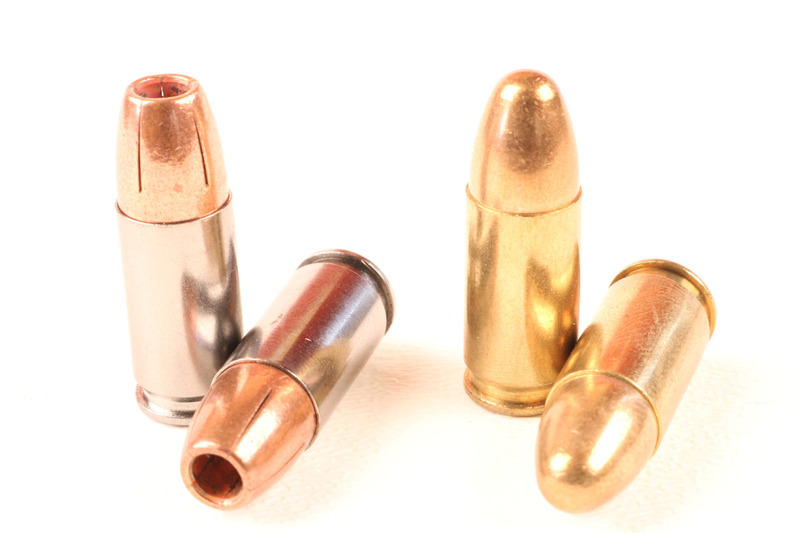 Modern expanding ammunition makes the 9mm Parabellum a much more effective stopper. Modern expanding ammunition makes the weapon markedly more effective than was originally the case. 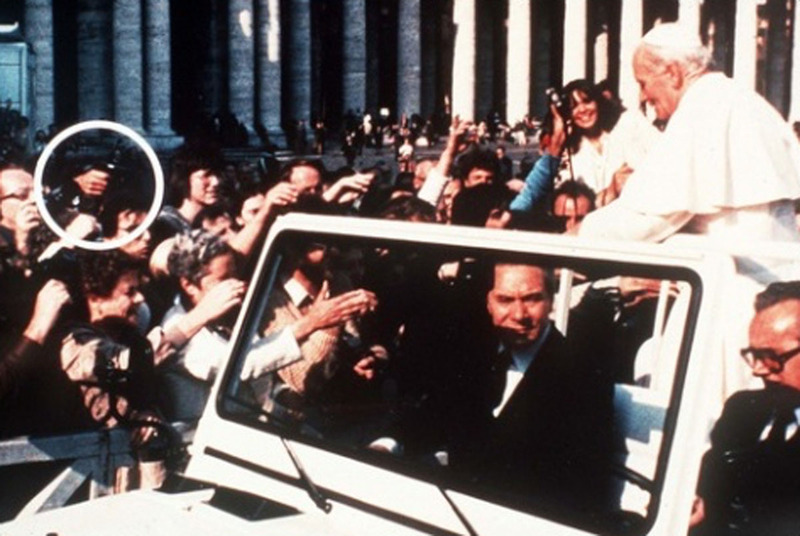 This is the early Pope-mobile in which Pope John Paul II was riding at the time of his assassination attempt. 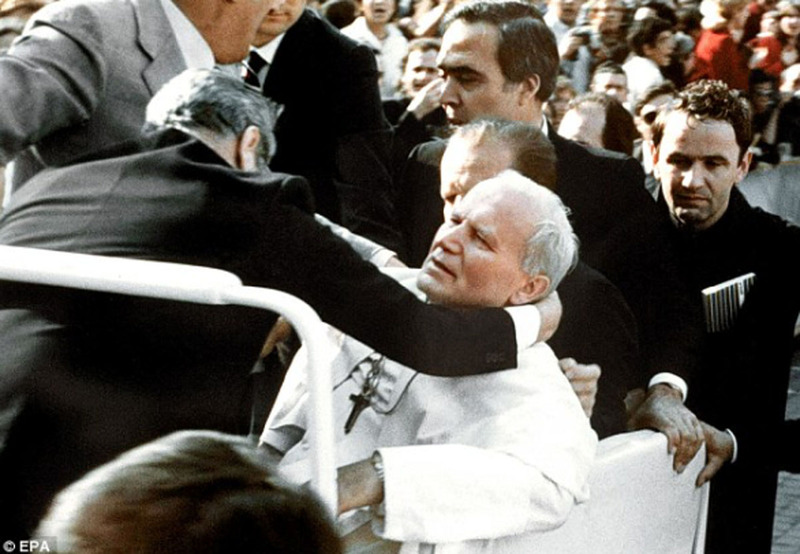 Pope John Paul II was severely wounded in the attack and very nearly died. 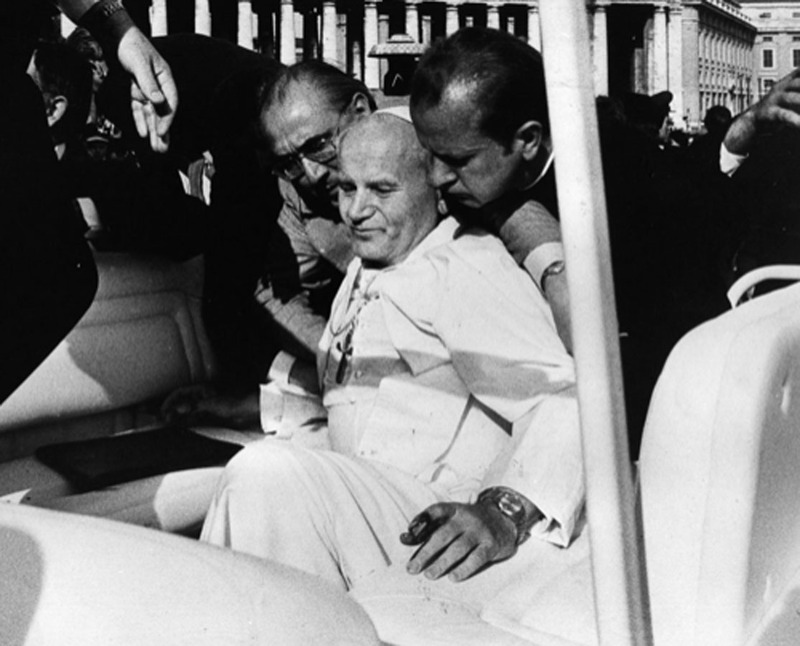 The ambulance that originally attempted to take Pope John Paul II to the hospital broke down. 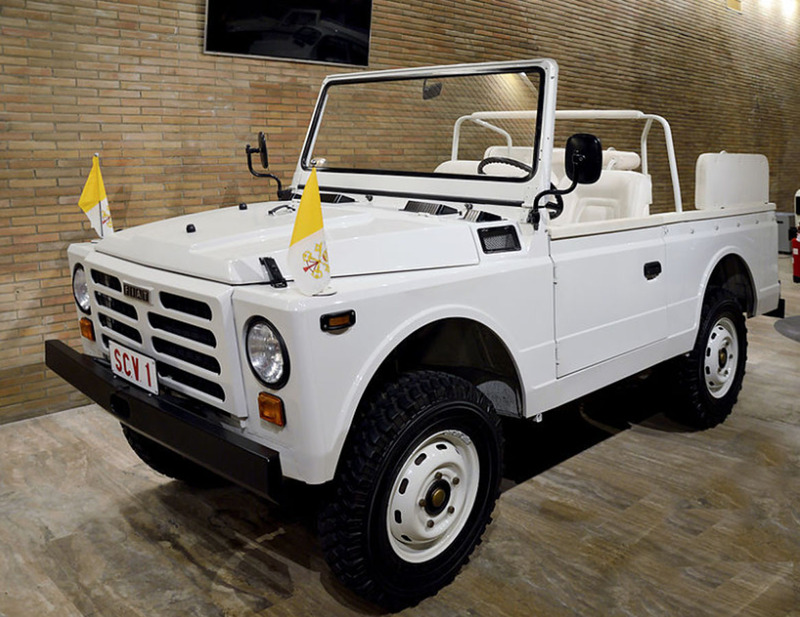 Its replacement was a brand new vehicle that the Pope himself had personally blessed the day before. His blessing was specifically though cryptically directed to the pending first occupant of the vehicle whoever that might be. No one knew at the time that this person would be the pontiff himself. The Pope’s recovery has been described by some as miraculous. After five hours in surgery and a three-week hospital stay the Pope returned to his duties. He subsequently developed a dangerously high fever, but ultimately, recovered fully. The Pope was offered a bulletproof vest on an earlier official trip to Ireland and declined, claiming that the possibility of assassination was simply an occupational hazard. Pope John Paul II visited his would-be assassin in prison and supposedly developed a rapport with him. 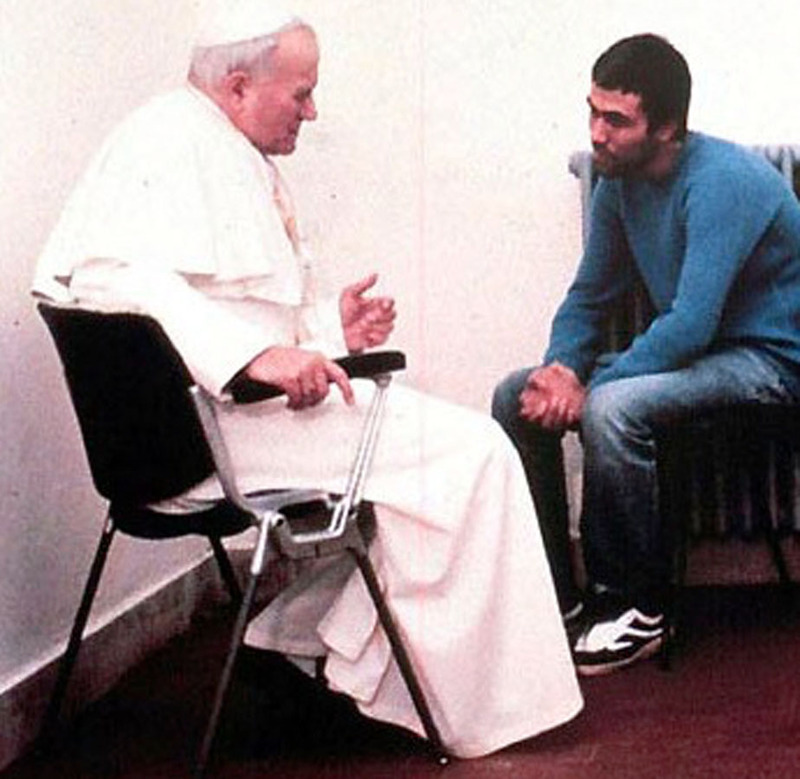 Mere days after the shooting the Pope asked for prayers for Mehmet Ali Agca and announced that he had forgiven him. Two years later the two met in prison and purportedly developed a friendship. The Pope met Agca’s mother in 1987 and his brother ten years later. 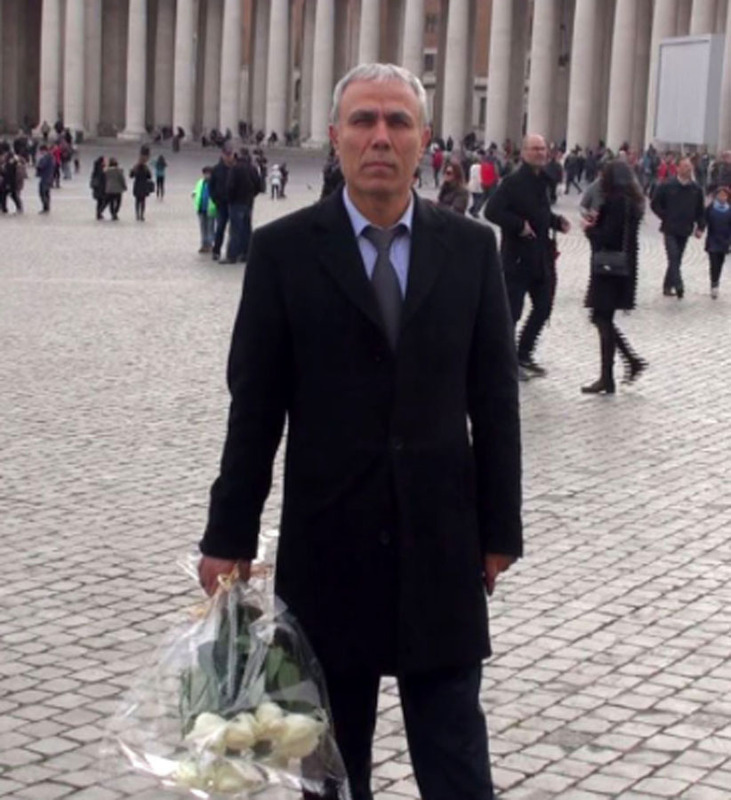 Mehmet Ali Agca visited the John Paul II’s grave to pay his respects after his release from Turkish prison. In 2005, when the Pope developed a serious illness, Agca sent him a letter wishing him well. Agca remains a controversial figure even today. Mehmet Ali Agca was crazy, pathologically manipulative, a professional intelligence operative, or some toxic combination of the three. At various times he claimed to be an agent of sundry communist governments, an affiliate of the Marxist Popular Front for the Liberation of Palestine, an extension of the revolutionary theocracy in Iran, and the reincarnated Christ. 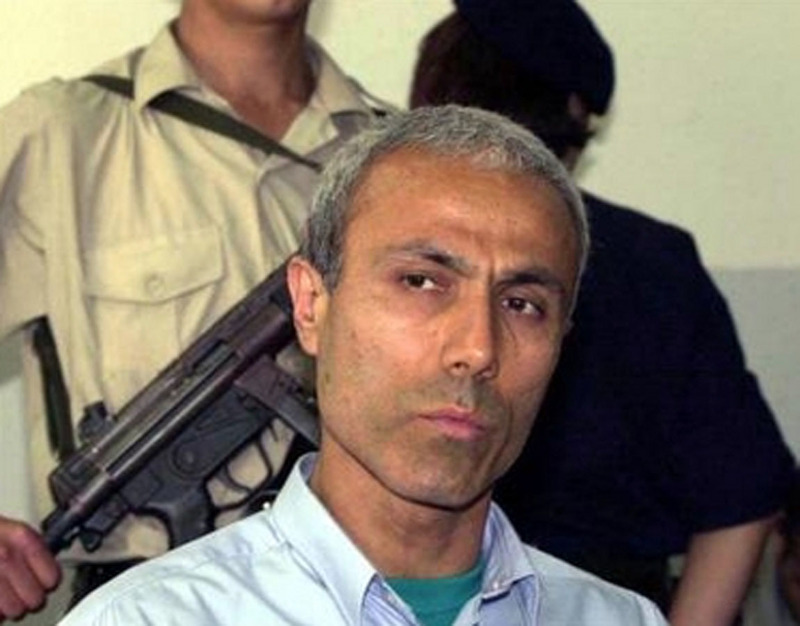 Mehmet Ali Agca spent a decade in a Turkish prison after his pardon in Italy. At the pontiff’s suggestion, Agca was pardoned in 2000 but was then extradited to Turkey where he served another ten years for killing a left-wing journalist in 1979. In 2016 he announced his intention to become a Catholic priest. Agca was declared unfit for military service by virtue of a psychiatric diagnosis of antisocial personality disorder. 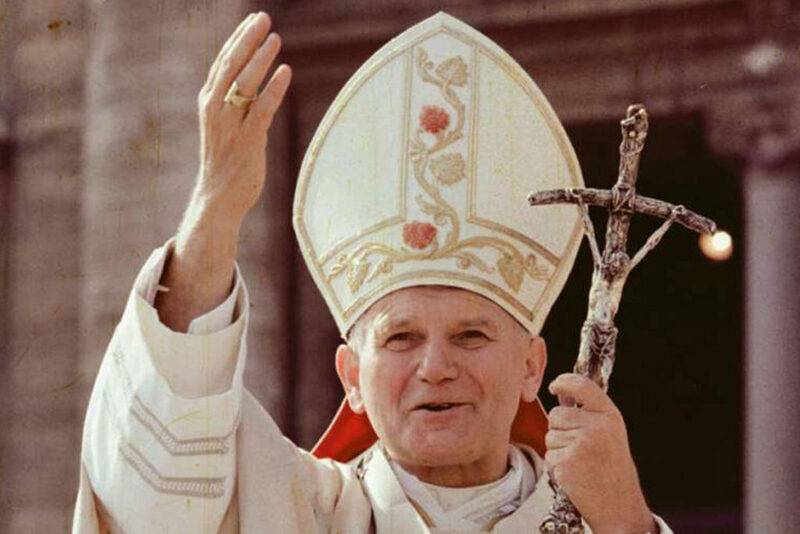 Pope John Paul II was an undeniably influential figure. 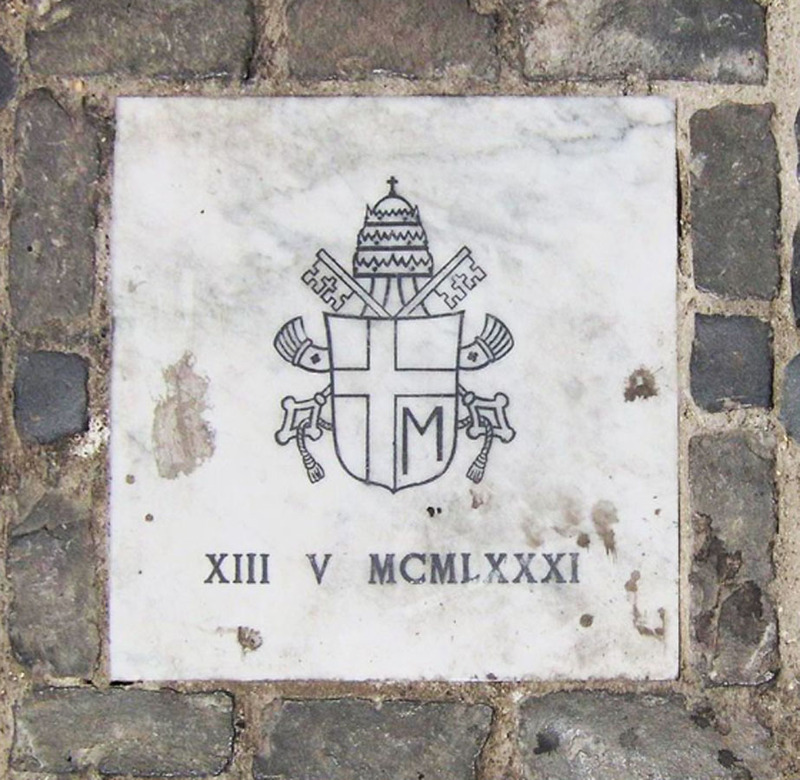 This marble marker commemorates the location of Pope John Paul II’s attempted assassination. 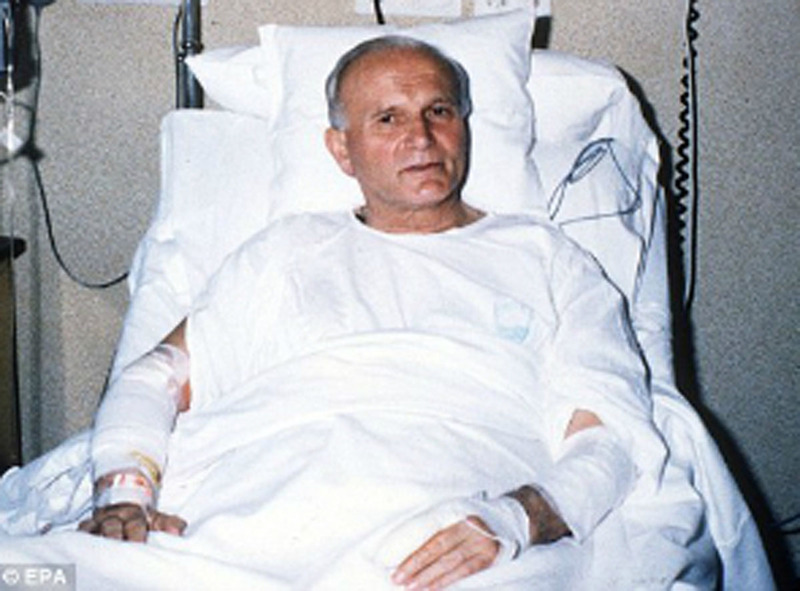 Like so many modern intrigues, the full story behind Mehmet Agca’s attempted murder of Pope John Paul II will likely never be known. Blame has been spread to Ayatollah Khomeini, Yuri Andropov, sundry communist intelligence chiefs, and several disparate revolutionary groups. However, embodied within this sordid tale are the conflicting themes of murder, forgiveness, and redemption. 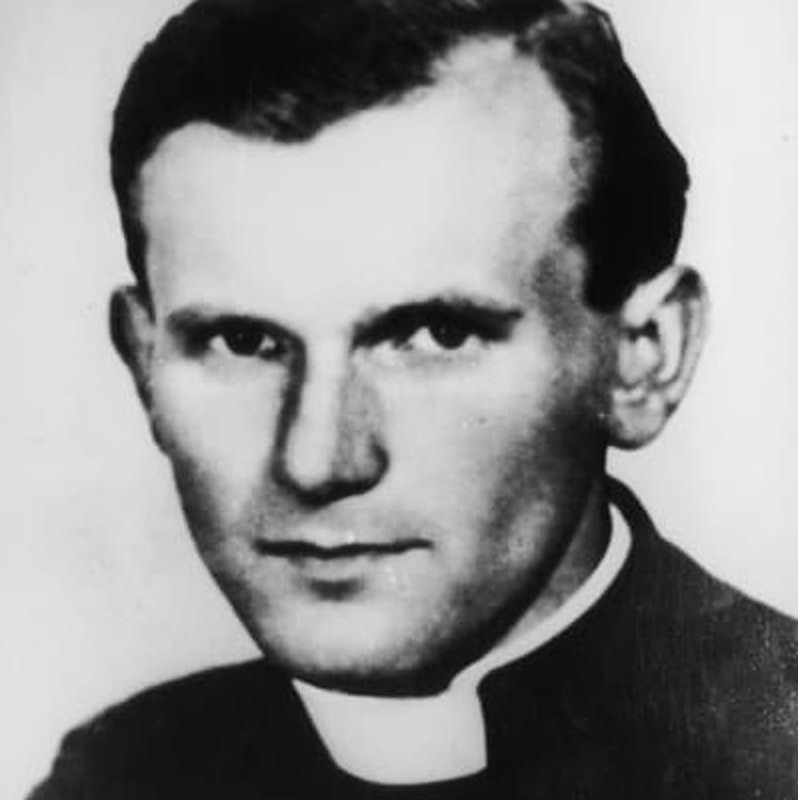 From humble beginnings, a young man in occupied Poland went on to lead the Catholic church. 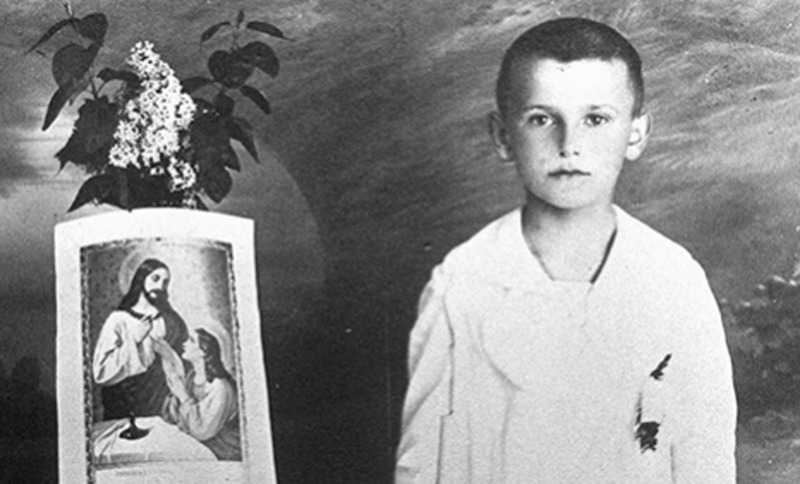 A young Polish man persecuted by the Nazis ultimately became Pope. A terrorist murderer and serial liar now aspires to the priesthood. In each, we see both the best and worst of humankind. 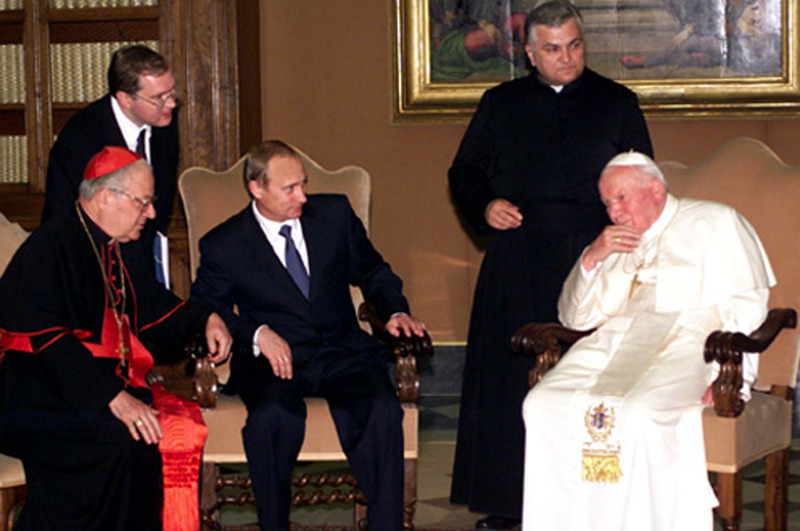 Pope John Paul II has had an enduring influence on world leaders around the globe. Here he is seen with Vladimir Putin. Well written and very interesting! So, a radicalized Muslim, whoda thunk it? Now, I’m not an authority on how one would go about becoming a Catholic priest (I’m nominally Catholic but not religious), and what all the standards for the priesthood are, but I can imagine that shooting the Pope ought to be enough to disqualify any aspirant to the priesthood. Good article. I wrote a piece on Agca’s GRU connection several years ago, and it was retained at Langley ever since. This Pope was one of the most saintly men of our times. Are the feds withholding it from civilian reading, or is it just being used in their curriculum somehow? I’d be interested in reading it if you have a link or title. Thanks.